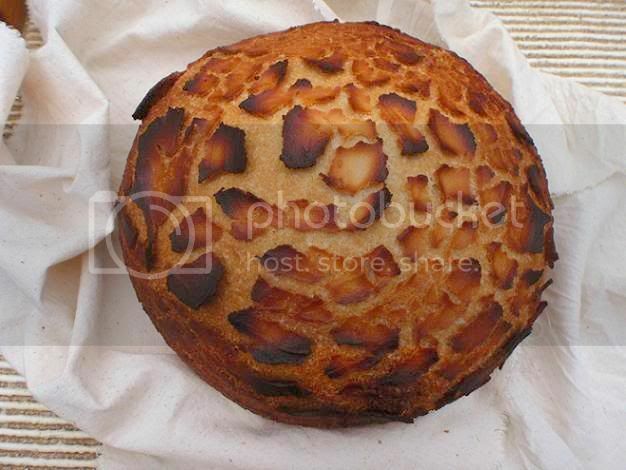 (2) The mottled crust is nice and crispy, the best shape for it however is not a boule. (I know now.) The benefit is best felt in a baguette style or thin long bread such that you slice it length-ways. (3) 74% dough hydration using butter milk is different from 74% hydration using water. The hydration would have been fine had it been water that I used given the high protein level in the wholemeal flour. This sourdough turns out to be quite dry (ie, under hydrated) as the crumb is somewhat dense. (4)100% wholemeal flour gives a strong bitter note to the taste that my family doesn't care for. Don't do it again. 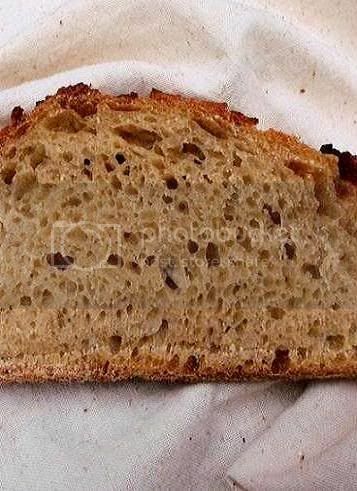 If you still want a 100% whole wheat loaf, try mixing red and white whole wheat flours. White whole wheat flour is made from whole wheat that has been bred to eliminate the genes for bran color and is much milder in taste than whole wheat flour made from red wheat. Many bakers here like to mix these flours, often 50 / 50. Best of luck in your baking. The loaf looks lovely. Thank you, your information is very helpful. And thanks for the great link too.